I am pleased to release this year’s property market movement report, ahead of the release of the 2016 annual statutory land valuations on Wednesday 2 March 2016. Following a statewide market survey and consultation with local government and industry groups, 24 local government areas have been valued in accordance with the Land Valuation Act 2010. A market survey report for a local government area details the sales of land in the area since the last valuation was made and the probable impact of those sales on the value of land in an area. In addition, valuers also consider the types of issues that impact on the value of the land such as the state of the economy, commodity prices and population trends. Banana, Brisbane, Burdekin, Cairns, Central Highlands, Cloncurry, Cook, Douglas, Fraser Coast, Gladstone, Gold Coast, Isaac, Lockyer Valley, Mackay, Moreton Bay, Mount Isa, Noosa, Redland, South Burnett, Sunshine Coast, Toowoomba, Weipa, Western Downs and Whitsunday. The rateable local government areas being valued this year represent approximately 72 per cent of all properties in Queensland. 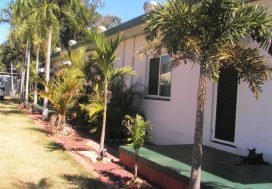 This valuation has resulted in all local governments areas throughout Queensland being revalued within the last three years. The new valuations will take effect on 30 June 2016 for local government rating, state land tax and state land rental purposes (where applicable). This report summarises the comprehensive analysis of all property markets within the 2016 annual valuation program for Queensland by a team of regionally based registered valuers in the State Valuation Service of the Department of Natural Resources and Mines. Due to the variation in land value movements within each local government area, this year the report will continue to focus on median land value movements for residential and rural residential land uses and total value movements for multi-unit residential, commercial, industrial and primary production land uses. This change in reporting provides more meaningful statistics relevant to the use of land and more accurately reflects how land values have changed. There are continued signs of strength in some areas of Queensland’s property market. 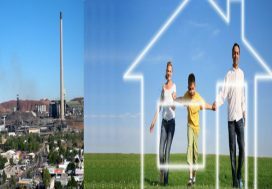 The evidence of increasing residential land values in Brisbane, Toowoomba, Sunshine Coast, Gold Coast and Cairns local government areas contrast with the reductions in value in centres affected by the current state of the resources industry. Generally, across Queensland there has been limited sales activity in rural markets. This has resulted in a continued static to softening of land values within the grazing, horticultural, small crop and dryland farming industries. All industries are currently dealing with the effects of a long-term and widespread drought, restrictive financial policies and rising costs. It is expected that these trends, where potential purchasers still remain cautious, will continue until there is an improvement in weather patterns and there is more confidence in the economy. The Land Valuations Globe through Queensland Globe on Google Earth gives landowners unprecedented access to information. This includes the spatial representation of a valuation, valuation dates, and the ability to search by property identification number and a real property description, all on current satellite imagery background that allows users to zoom in to property level. The Land Valuations Globe, the list of Queensland’s statutory land valuations in a searchable table format, interactive maps that include market tables for major residential localities, and a rural sales map can be visited at www.dnrm.qld.gov.au. The Land Valuations Globe also enables landowners to compare their valuations with others in their area. In line with modern business practice, landowners are encouraged to have future valuation notices and other valuation information sent to them by email by visiting www.dnrm.qld.gov.au. With access to the internet and supporting technologies continuously improving, it is appropriate that there is flexibility in how we distribute information to landowners. There will be a significant benefit to the public because it is more convenient, faster, sustainable and reliable. Those landowners who do not opt in will continue to receive information by mail. I hope you find this year’s property market movement report informative. Two methodologies are used to undertake statutory land valuations in Queensland, site value and unimproved value. Site value is used to value all non-rural land. It is the amount for which non-rural land could be expected to sell, at the date of valuation, without any structural improvements on the land (e.g. houses, buildings or fences). Site value includes site improvements made to the land such as earthworks (e.g. levelling, filling, or drainage works). Excavations and drainage associated with a building are not included in site value. Unimproved value is used to value rural land. It is the amount for which rural land could be expected to sell for, at the date of valuation, without physical improvements such as houses, fences, dams, levelling or earthworks. If your land has been valued on an unimproved basis, it is either zoned rural (or equivalent) or designated rural for statutory valuation purposes. The volume of property lodgements recorded with the Registrar of Titles increased over the first half of the 2015-16 financial year with an average of 3044 daily lodgements, up 5 percent from the previous financial year. The effects of extreme weather events. Table 1 shows the new median value and percentage movement for residential and rural residential land in the since the previous valuation. 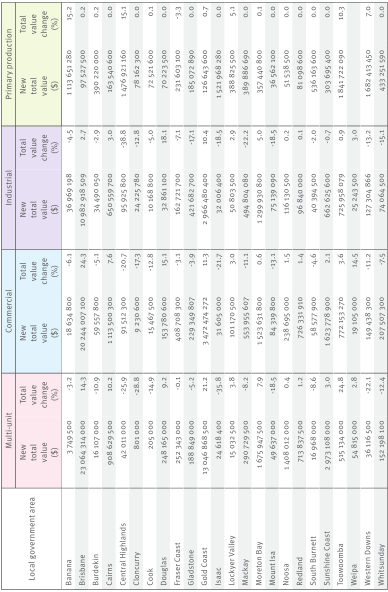 Table 2 shows new total value and percentage movement in total value for each land use category since the last annual valuation was issued. Figure 3 shows the overall percentage movement in total value since the previous valuation for each local government area and the whole state. This year’s overall percentage movements in land values for the 2016 annual valuation are summarised below. * Twelve local government areas recorded an overall increase between 4.2 percent (Lockyer Valley) and 18.5 per cent (Toowoomba). Of these, nine recorded increases of more than 5 per cent. *Of the 12 local government areas that decreased, six decreased o—5 percent, two 5-10 percent and the rest decreased more than 10 per cent. An increase in urban land values has generally occurred in Brisbane and its environs, the Gold Coast, Sunshine Coast region and the Cairns region. In contrast, regional Queensland has generally experienced static to falling property values, in particular those communities in local government areas that have a close relationship with the resources industry such as Mount Isa, Isaac, Mackay and Western Downs. The exception to this decrease is Toowoomba, where significant infrastructure has been undertaken or is proposed. The mining and gas industries continue to influence the property market as the resources sector moves from an exploration and construction phase towards a production phase. This slowdown in activity is impacting on centres like Gladstone, Wandoan, Mackay and townships within the Bowen Basin, Central Highlands and the North West. Generally, across Queensland limited sales activity has indicated many of the state’s rural markets have remained static, with increases in values occurring in certain locations. All industries have been impacted by a long-term and widespread drought, restrictive financial policies and rising costs. The beneficial effects of the strengthening of beef commodity prices have commenced, particularly within the central Queensland and Darling Downs property markets. lt is believed that the grazing and broadacre farming markets have commenced to rise from the bottom of the market cycle. Markets for sugar cane and horticultural land and properties are generally static. It is expected that these trends, in which potential purchasers remain cautious, will continue for some time until there is an improvement in the weather and there is more confidence in the economy. The Brisbane City Plan 2014 (City Plan), coupled with renewed interest in city or near-city apartment living, contributed to a dramatic increase in developer interest in land suitable for unit development. While interest in Newstead and Bowen Hills has developed progressively in recent years, interest in South Brisbane and nearby suburbs improved in 2014 and continued in 2015. They became the areas in high demand, and this translated into significant land value rises. 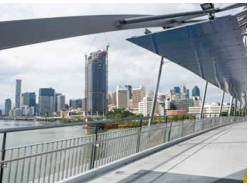 The new vision of the City Plan, gazetted on 29 June 2014, has been embraced by developers and investors in 2015 and resulted in continued interest in the Brisbane market. The Valuer-General reports median values by suburb for residential land values in Brisbane. Of the 181 suburbs in this group, the Valuer-General’s median valuation remained static in 42 suburbs whereas eight suburbs showed a reduction in their median value. An increase of up to $50 000 was reported in 96 suburbs, while 35 suburbs increased more than $50 000. The overall median value for single unit residential across Brisbane increased 9.9 per cent to $390 000. In 2015, interest in some property sectors increased, with moderate to large increases in values. This increase was mainly driven by demand for apartments in the CBD and inner suburbs from investors and those seeking to live closer to the CBD or the Brisbane River. Additional demand came from developers seeking to take advantage of the new City Plan which, in many cases, allowed for greater development intensity than was available under the previous City Plan 2000. Flooding potential ceased to be a factor in value changes. In some suburbs impacted by flooding in 2011, allowances of up to 25 per cent were applied by the Valuer-General for flood impact at that time; yet in 2014, sales revealed in some suburbs that buyers were purchasing flood-impacted land at prices close to the prices being paid for non-flood impacted land. Flood-impacted suburbs such as Chelmer, Graceville and Sherwood that had recorded large increases in the Valuer-General’s site valuation in 2014 remained generally static in 2015. While there were small to moderate increases in median residential values in 131 suburbs and a large number of sales across Brisbane, 42 suburbs showed no increase and eight decreased. The inner fringe suburbs located close to the CBD and in the CBD fringe with a median value in 2015 of over $500 000 showed only small increases. These suburbs included Teneriffe, Hamilton, Fortitude Valley and Bulimba. Suburbs such as Hawthorne and New Farm showed moderate increases. Some outer suburbs that had not increased in the last revaluation showed small to moderate increases. Rural residential land represents a small market sector in Brisbane yet showed a 5.1 per cent increase in median value. As for the multi-unit market, interest in new apartments being built in the fringe CBD grew over the past few years as developers actively competed for the prime sites. This sector saw a 14.3 per cent increase in the Valuer-General’s overall valuation level, with some moderate to large increases in CBD fringe suburbs including South Brisbane, West End, and Kangaroo Point. Some of the commercial land in suburban Brisbane is classified for multi-purpose use, including units, and while the traditional commercial markets remained quiet, the impact of developer and investor interest in these sites resulted in the value of commercial sites also rising in line with their highest and best use as sites for which the City Plan allows a multiplicity of uses. Overall, the total value of commercial land rose by 24.3 per cent. Higher demand for multi-unit residential accommodation with the Brisbane CBD was demonstrated by a number of residential development sales that showed major increases in land value for some properties; for example, the interest in developing sites for student accommodation was keen during 2015. The issued valuations for the industrial market rose only 2.7 per cent with limited vacant or lightly improved sales across the sector despite a number of improved sales in the distribution sector of the industrial market. The greater Brisbane area encompasses the ring of large urban centres surrounding Brisbane City from Logan and Redlands in the south, Ipswich in the west and Moreton Bay in the north. In general, the Moreton Bay Regional Council and Redland City Council areas displayed static to improving land values on the back of rising sales volumes in the residential sector. 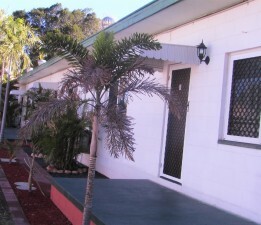 This was driven by the demand for property in the greater Brisbane area. This demand has translated into increased residential development, particularly across Moreton Bay, which provides a more affordable product compared to land prices within the Brisbane City Council area. Across Moreton Bay, statutory land values generally increased: the median residential value increased by 14.1 per cent to $222,500 since the last valuation in 2014. Residential lands in the former Pine Rivers and Redcliffe peninsula localities are showing minor to moderate increases in land value while Caboolture localities are showing static valuation to minor increases. Typical median values are now $330 000 in Everton Hills, $200 000 in Burpengary and $275 000 in Redcliffe. 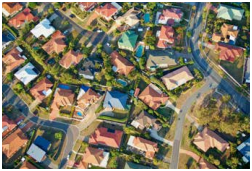 The majority of residential lands in the mainland localities of Alexandra Hills, Birkdale, Capalaba, Ormiston, Redland Bay, Thornlands, Victoria Point and Wellington Point experienced moderate increases. The majority of land values in the localities of Cleveland, Mount Cotton, Thorneside and Coochiemudlo Island experienced minor increases, though residential land values on the remaining bay islands did not change. The increase in value reflects confidence in the market supported by long-term low interest rates. Multi-unit land values are generally static to decreasing around Caboolture and Deception Bay whereas the former Pine Rivers and Bribie Island areas are showing minor to moderate increases. The Redcliffe area has seen some of the largest increases with minor to moderate increases to beachside lands suitable for small-scale developments. Redland City residential multi-unit land values had a slight change overall. Retail and commercial activity has been largely static across the region with land values holding in most areas to reflect the steady retail and services spending supported by the growing residential base. The North Lakes commercial precinct, the prominent commercial centre in Moreton Bay, has seen a number of new and proposed developments since 2014. Industrial land values have generally held firm across the region with minor increases in Brendale and Redcliffe. Parts of Caboolture and Narangba have seen a slight decrease based on the available sales evidence. Rural residential values have generally mirrored other residential areas. In Moreton Bay, the southern localities located close to the northern fringe of Brisbane are displaying moderate increases while areas in the north of the local government area are reflecting static values to minor increases. In Redland City, minor to moderate increases were reported in Redland Bay and Thornlands. Farming land values have not changed across the region including the prime Redlands small crops areas and the quality grazing lands in the Moreton Bay hinterland. Gold Coast City land values generally increased from the previous annual valuation. While the key driver for the overall increase was in the residential sector, increases were across most market sectors in the city. Median residential values increased overall by 13.5 per cent. The larger increases were around the Broadwater and coastal suburbs where moderate increases in value were recorded. This movement in the residential land market is the third consecutive year of minor to moderate increases due to continuing demand for well-located property that represents value for money. Demand for residential land has also spread to the suburbs further from the coastline so land values in suburbs such as Mudgeeraba, Nerang, Helensvale, Coomera and Ormeau showed minor to moderate increases. Moderate increase in value was experienced in the major unit development site markets of Surfers Paradise, Broadbeach, Southport, Labrador, Palm Beach and Coolangatta. Multi-unit market movement graded down to minor increases away from the beach in suburbs such as Robina and Varsity Lakes. Commercial land values generally increased in value, impacted by falling vacancy rates and demand for mixed use development. 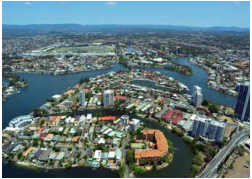 Southport, the largest commercial market on the Gold Coast, showed a moderate increase in land value overall. Bundall and Nerang also experienced moderate increases in land value. Land value in the newer markets of Robina and Varsity Lakes increased by minor amounts. The industrial land market increased overall, but at a slightly more subdued rate compared to the commercial market. Minor increases were recorded in the major market areas such as Burleigh Heads, Molendinar, Southport and Yatala. Currumbin Waters was the only area where industrial land values did not increase overall. Hinterland rural residential land values generally showed minor increases. The stronger markets were in suburbs such as Helensvale where moderate increases were recorded. Small to no increases were recorded in the Nerang and Mount Nathan areas. The larger valley markets such as Currumbin, Tallebudgera and Bonogin showed minor increases in value. Rural land values had a small increase overall, with minor increases generally confined to the smaller and intensive farming uses such as nurseries. 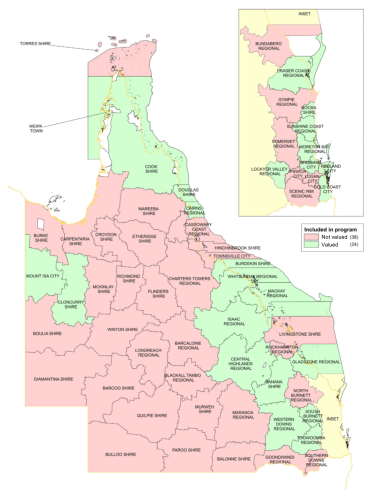 Greater South East Queensland encompasses the valley areas west of Greater Brisbane, coastal areas north to Noosa and areas inland to the Gympie Regional Council area. South East Queensland could be described as a multi-faceted market with some hinterland centres still experiencing static local economies while the ‘coastal lifestyle’ centres such as Noosa and Sunshine Coast continue to improve. This has translated into increasing or stable land values in the larger coastal centres while smaller hinterland towns and villages are experiencing a range of value movements depending on local economic conditions. The Sunshine Coast region continued to experience strong sales activity and improving values in the residential sector with median values increasing to $237 500 in Noosa and $230 000 in the Sunshine Coast areas since 2015. Demand was still centred on mid-priced property, particularly in new estates, while the prestige market generally remained static. Residential land value movement in the Lockyer valley Regional Council area has been variable. Withcott residential land values showed moderate increases that tapered to minor increases in Helidon and Gatton due to the influence of the improving Toowoomba market. In contrast, Laidley median land values experienced a minor decrease. Improving multi-unit building activity and demand is evident on the Sunshine Coast which resulted in a slight increase in overall values. This did not translate to increased land values for larger development sites in 2015. Commercial and industrial land values generally remained unchanged on the Sunshine Coast and in Noosa, areas which are underpinned by the strengthening residential and tourist sectors. Minor decreases occurred in the Yandina and Coolum estates based on the available sales evidence. The new Kawana Health Precinct saw significant building activity which resulted in minor to moderate increases. Lockyer valley commercial and industrial land values generally showed minor increases with some minor decreases in Laidley. Rural homesite values generally mirrored the changes in the urban areas with minor increases in value on the Sunshine Coast, predominately along the coastal strip and Blackall Range, while western areas were generally unchanged. The rural homesite market is the greatest component in the Lockyer Valley land market where values experienced a minor increase overall. The range of movement was similar to the residential market with a gradient of increase similar to the Toowoomba market. Around the Laidley and Grantham areas there was minor to no decrease in value. Farming activities such as cattle, small crops and tree crops are significant enterprises in South East Queensland Rural land values generally remained steady in the Sunshine Coast region with subdued market activity in most areas supporting existing levels. Lockyer valley farming lands showed minor increases in value. Within Toowoomba a number of major projects, completed, in progress and proposed, had a positive impact on the City’s property market. The most significant of these proposals is the $1.6 billion Second Range Crossing, awarded to Nexus Infrastructure Consortium, which will provide an alternative crossing for commercial and heavy vehicles. It is the largest federal government commitment to a single road project in Queensland’s history. Preliminary works have commenced, with completion in 2018. Up to 1800 full-time jobs are estimated to be created during construction. The Inner City Shopping Centre development currently being progressed by the Queensland Investment Corporation will lead to the demolition of Garden Town Shopping Centre, and its replacement merged with Grand Central Shopping Centre across West Creek and rail corridor. The Charlton Industrial Estate project is also in progress. Major completed projects included the privately owned Brisbane West Wellcamp Airport by the Wagner family and the Outer Circulating Road project within Toowoomba. As a result of these developments, the residential property markets in Toowoomba City and Highfields have experienced strong growth. Median residential values in East Toowoomba increased from $200 000 to $260 000. The commercial and industrial markets within Toowoomba City remain stable, with generally no changes in value. An exception was the minor to moderate increases in the value of shopping centres in Toowoomba and Highfields and significant increases around Mort Street in Toowoomba City. This positive growth within Toowoomba City also resulted in increases in the values of the majority of small towns throughout Toowoomba Regional Council. In contrast, as the gas industry in the Surat Basin moves from exploration and development into the production phase, property markets in that area have slowed. Workforce numbers dropped from their construction-phase peak in most communities affected by the slowing of the resource industry sector. Generally, corrections occurred in all market sectors of mining resource-affected towns, including their improved and rental markets. In some urban centres affected by this resource industry slowing, properties are proving very difficult to sell. Chinchilla and Miles are experiencing high vacancy rates within the residential sector. Rental rates in Chinchilla have approximately halved from two years ago. Within their commercial and industrial markets there have been moderate reductions in Chinchilla and significant reductions in Miles. However, Dalby’s residential market saw only minor reductions and no change in the commercial and industrial markets. Wandoan has also been affected by the downturn in the coal industry and the shelving of a proposed large coal mine project in the local area. From its peak in 2013, vacant residential land values reduced from about $200 000 to a median value of $54 000. In contrast to the decline in values mirroring the decline in the resource industry sector, the effect of the strengthening of beef commodity prices was evident in the positive impact on values for grazing and broadacre lands throughout the Toowoomba Regional Council area and around the localities of Dalby, Haystack and Wandoan in the Western Downs Regional Council area. These markets are showing minor to moderate increases, while at Yarraman there have been significant increases. The Wide Bay-Burnett area encompasses the region from Maryborough, north to Bundaberg and west to Kingaroy and Monto. 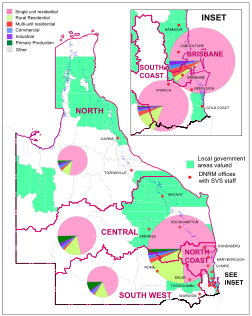 The Wide Bay—Burnett area reflects similar trends to South East Queensland with coastal centres displaying a static to slight improvement in most markets while hinterland areas were static to falling in value due to local economies. The Fraser Coast was last valued in 2013 and since that time market conditions have been generally static with some evidence of improving residential values in Hervey Bay primarily focussed on the lower to mid-range property type. Maryborough residential land values were unchanged; however a number of small hinterland and coastal centres had minor reductions in value. The decline in these areas resulted in a slight fall in the overall median residential value by 0.9 per cent to $116 000. In contrast, the South Burnett continued to weaken since the last valuation in 2015, a reflection of local market conditions. Since that time residential activity declined with minor to moderate falls in land values in most urban centres and small villages. The median value in Kingaroy is now $65 000 and $34 500 in Murgon. Multi-unit values remained static on the Fraser Coast with very limited activity within the development industry reflecting lower investor demand due to static rentals, low property yields and limited value growth. Industrial, retail and other commercial activity has been largely subdued across the region, reflecting local market conditions. This subdued activity resulted in static land values in Kingaroy and Wondai but minor to moderate falls in other centres in the South Burnett as well as the Maryborough city area. Hervey Bay was largely unchanged, supported by a strengthening residential sector and improving tourist numbers. Farming and rural residential values in the Fraser Coast generally mirrored the residential sector with values largely unchanged around the major centres, but minor falls in some western and southern areas. South Burnett farming values were steady on the back of strong sales evidence while rural homesite values fell in parts of Wondai and Nanango environs. Central Queensland encompasses Rockhampton and extends south to Miriam Vale, north to Bowen and west to the Queensland border. Over the last year Central Queensland has experienced mixed property movement: generally urban property markets softened and rural property markets remained static or increased. Since the early 2000s, regional urban markets have been influenced by the region’s resource industry. During 2015, the region continued to struggle with the failing economic viability of the Bowen Basin coal industry. Reductions in coal prices since 2013 saw several more uneconomic mines closed, remaining operational mines rationalised, and most infrastructure development projects mothballed or abandoned. Support industries were also impacted by rationalised operations and staff levels that reduced the region‘s workforce; the biggest impact occurred in the mining towns themselves. The effect on the property market was that demand for urban lands fell considerably and the supply increased as unemployed workers and owners of uneconomic businesses put their properties on the market and moved out of the region. Although several new Bowen Basin mines commenced operating in 2o15, the workforces for these mines predominantly came from outside the region on a fly-in-fly-out (FIFO) basis and therefore did not have a positive effect on the market. As mentioned, the hardest-hit areas have been the coal towns themselves. The worst affected property markets in these towns have been the improved residential property market and the residential rental market. Reliable evidence of a decline in land values has taken time to filter through, but there is now sufficient market evidence to indicate a significant downward movement. The level of reduction varies from town to town: the extent of reductions relates to a combination of the town’s reliance on the mining industry and the date at which the town‘s associated mines rationalised their workforce. 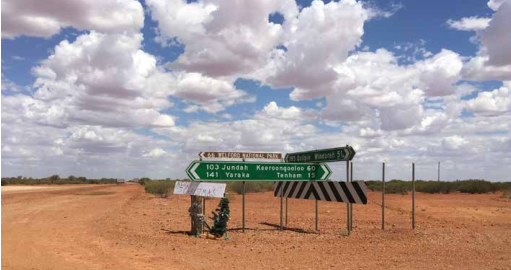 Moranbah and Dysart, two of the first towns to experience redundancies and both solely reliant on mining, experienced major reductions in land values. In contrast, Biloela and Airlie Beach, with less reliance on mining, experienced no reductions. 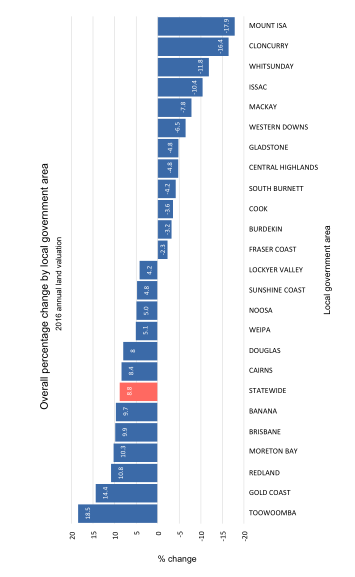 Although there was considerable variation between mining towns, the trend throughout the local government areas of Central Highlands, Mackay, Whitsunday Gladstone, Banana and Isaac was significant value reductions for all urban land types. Property values reduced in all the mining towns of Moranbah, Tieri, Dysart, Middlemount, Nebo, Collinsville, Bowen, Clermont, Capella, Blackwater, Bluff and Moura. These are the characteristics of the hardest-hit markets: the improved residential property market in many towns dropped 3o—5o per cent from the peak values of 2013; the residential rental market reduced from up to $2 000 per week in some towns to significantly lower levels. The market movement in urban centres of the coastal local government areas that supported the mines has also varied greatly. The level of reliance on the resource industry in these areas has played a major part in their market movement. Rationalisation of the mining industry also impacted the workers in the drive-in-drive-out (DIDO) workforce who lived outside the traditional mining communities. Mackay, the Bowen Basin’s major industry support area and a major dormitory for DIDO workers, is now feeling the full impact of the resource recession. All urban property markets experienced at least minor reductions, the hardest hit being multi-unit, industrial and development lands. The improved market, though still softening, showed signs of stabilising, however the vacant land market might continue to soften. Gladstone property values either remained steady or reduced over 2014-15. Small lot residential and multi-unit values reduced in some areas and remained unchanged in others, as did rural residential values. This ongoing easing in the residential market demand since 2014 was due to the pending finalisation of construction works for the three liquid natural gas (LNG) plants on Curtis Island. There were some flow-on reductions in property values in Gladstone’s industrial and commercial sectors, although not all areas were immediately affected. Primary production values around the Gladstone area are steady at the end of2015, with no reported changes in value; however the buoyant prices being paid for beef cattle is a positive influence. The major rural markets for Central Queensland are grazing and sugar cane. The grazing markets throughout the region, after several years of softening, are believed to have reached the bottom of their economic cycle. Over 2015, the industry experienced the impacts of drought, although not as severely as other regions. Sales in the region trended upward. Grazing values in the Central Highlands and Banana areas had moderate increases, though the balance of the rural grazing in the other areas remained static. Activity in the sugar cane land market was limited with values remaining static. The industry remained generally optimistic in the face of industry uncertainty about marketing and lower commodity prices. North Queensland encompasses the Burdekin in the south, and extends north to Cape York and west to the Queensland border. The Cairns property market continued to demonstrate positive signs of growth, particularly within the residential sector. Values in all other sectors also followed an upward trend with the exception of the farming market where values remained stable. The tourism industry has been on an upwards recovery since the depreciation in the Australian dollar in mid-2013 to about US70c. Airport passenger numbers to Cairns continued to increase. 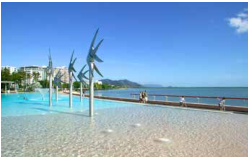 This growth was one of the primary drivers for the resurgence within the Cairns economy. The residential market in Cairns remained on a course of steady recovery; however, growth in volumes eased over the same period, with nearly 2600 sales recorded. Residential building approvals continued to improve. Land values in the Babinda locality softened due to a lack of demand. The rural homesite market in the Cairns district generally increased over 2015, with the exception of the more isolated southern localities where a slight softening in values occurred. The commercial market experienced a variety of market movement since the previous revaluation in 2015. The commercial market includes lands zoned Tourist and Residential in Cairns North and the City as this ‘cross-over’ zoning code applies itself well to this market. Several sales occurred within the peripheral CBD localities of Parramatta Park and Cairns North indicating significant increases in value level. Premium office and retail space within the Cairns CBD experienced vacancy rates of about 6-7 per cent, with vacancies more prevalent in locations with inferior exposure. Vacant sales evidence emanating from the CBD fringe indicates increasing value levels. Commercial values have been increased moderately in these fringing locations though within the heart of the CBD increases are of a more minor nature. Over recent years the industrial market has been driven by owner-occupiers with investors and developers wary of the difficulty of attracting tenants. As expected, sales of improved properties without firm tenanting arrangements in place performed poorly against those with strong or guaranteed returns. The smaller, more affordable mixed-use properties remained attractive in the market place and with the residential market continuing to reflect strong but steady growth, these smaller industrial parcels are likely to maintain a market premium. Activity in the farming sector for the Mulgrave and Babinda localities settled, with no change to values reported. Like Cairns, Douglas Shire relies on tourism. 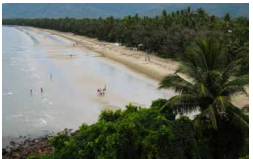 The increased confidence in the tourism industry has highlighted increased room yields and vacancy rates in Port Douglas for a number of years. The extended tourism season has had a positive effect on all property sectors in this tourist town. Values have seen minor increases since 2014. The effect of the upswing in Port Douglas generally flowed onto surrounding communities south of Rocky Point, including the administrative hub of Mossman. Residential lands in the towns of Mossman and Cooya Beach saw minor increases in value with most of the sales activity occurring in the developing Bonnie Doon estate adjoining Cooya Beach. Values in most other residential areas including Newell Beach, Wonga Beach and Daintree Village generally remained unchanged. 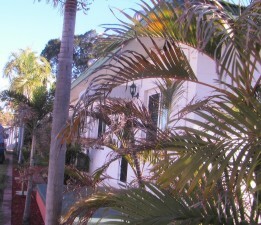 Rural residential values north of and surrounding Wonga and through to the Daintree River generally remained unchanged. There were some minor increases to values north of the Daintree River with most sales activity occurring in the Cow Bay area. Within the primary production localities in Douglas Shire there were limited property transactions. Due to the stable market, conditions values remained unchanged. Values in Cooktown and nearby Quarantine Bay generally experienced minor to moderate decreases due to the lack of demand for some classes of property and/or properties with adverse features that purchasers might have overlooked in less competitive markets. Values in most other townships within the Cook Shire generally remained stable except Marton where values also decreased slightly. Commercial and industrial values in Cooktown followed a similar downward trend to that experienced in the residential market. Rural residential values saw mixed movements depending on locality; however there were no changes in value except in the Bloomfield—Ayton locality where the all-weather bitumen road to Wujal Wuial had a positive effect on values resulting in slight increases. 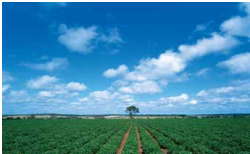 Arable and intensive primary production values within Cook Shire generally remained unchanged. Large grazing values also remained unchanged with the broader market fundamentals for large grazing enterprises being better than they had been for some time. These values were underpinned by the extremely strong cattle prices being realised for all classes of cattle. These strong cattle prices and a more positive rainfall outlook in Cape York helped return some confidence to this sector. The South of Embley project, renamed Amrun, was re-announced on 27 November 2015 by Rio Tinto. Amrun entails the construction of a bauxite mine and associated processing and port facilities on western Cape York Peninsula. Planning and approvals have been progressing over several years, so the immediate impact on the Weipa market has been occurring incrementally over a number of years. After a period of stability during 2010-12, the Burdekin residential market softened during 2013-15. The first slowdown in the market occurred in 2013 when sales volumes were significantly less than 2012. A low transaction rate continued in 2014 and 2015. The commercial and industrial sectors in Home Hill and Ayr experienced a contraction in values since the last annual valuation. Reductions became more evident in the core localities with a lesser reduction occurring in the fringe localities. The rural homesite market in the shire is mostly located around the township environs. The markets for smaller homesites with town services depend directly on the urban markets nearby; the more remote sites have previously been driven by affordability or potential for hobby farm type uses. Similar to the markets of Ayr and Home Hill, rural residential sales numbers decreased significantly in 2013 and have not recovered. Values have been mostly stable since 2015 with the exception of Mount Kelly which experienced a minor increase in values. Sales evidence is very limited in the smaller townships and weekender-fishing villages, but was mostly consistent with the declining broader market trends. Arable markets continued to be pushed at the smaller farm end by non-cane primary production markets. In the sugar cane sector there was a slowdown in the volume of transactions occurring annually. Values, however, remained firm despite this decline in activity. Locally, the cane industry was still recovering from both the adverse weather of recent years and the economic impacts associated with market falls. Added to this uncertainty was the prospect of water restrictions being imposed during the ongoing drought in Western Queensland which was beginning to affect this usually Water-rich region. Mount Isa was not immune from the downturn in the resources sector. Since 2014, median house prices generally contracted in Mount Isa on the back of weaker demand. The number of transactions also reduced. Glencore have restricted operations within the region which has resulted in the closure of Lady Loretta mine, a rationalisation of operations in Mount Isa, and the extension of the copper refinery until 2020. Mount Isa mining operations rely more on Mount Isa-based personnel, and less on a FIFO workforce; FIFO operations have been significantly affected. The residential market in Mount Isa softened, with a fall in rental demand resulting in a moderate reduction in property values. The renovation market is a viable option in light of high construction costs and influences the sale of new versus established stock. There was little demand to purchase vacant land to construct new dwellings. The demand for high density accommodation diminished with a focus on dual occupancy or low-density housing. The result was a moderate reduction in land values for multi-unit lands. The commercial market experienced a consolidation of values around the Mount lsa Plaza precinct as well as strip commercial along Marion Street, and a softening of demand in the traditional core CBD areas of West Street, Barkly Highway strip commercial, and suburban commercial precincts. The industrial market generally followed a similar trend to that experienced in the residential and commercial markets. The downturn in the mining sector during 2015, together with the effects of drought in the pastoral industry, reduced the demand for land within the Cloncurry Shire. The resources sector was affected by lower commodity prices, a reduction in personnel including contractors, and a reduction in exploration. 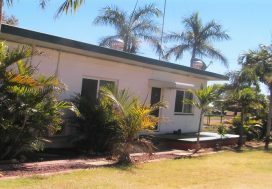 Sale volumes of improved and vacant land in the township of Cloncurry reduced from the highs of early 2014 and experienced a decline in sale prices. Housing rentals also softened due to the lack of demand. This trend has occurred across the majority of sectors within the town of Cloncurry. 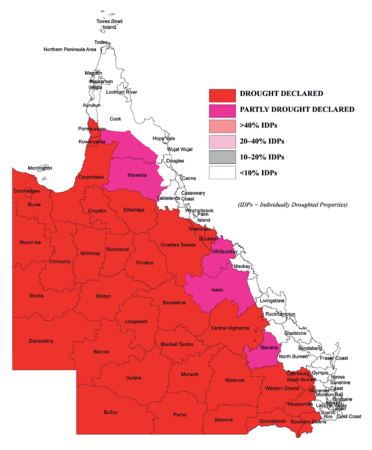 Drought conditions deteriorated further across the pastoral market with much of western and north western Queensland, including Cloncurry and the Mount Isa local government areas, being drought declared. However values for pastoral properties did not change. A lack of buyer capacity resulted in only a small number of transactions across the entire sector. 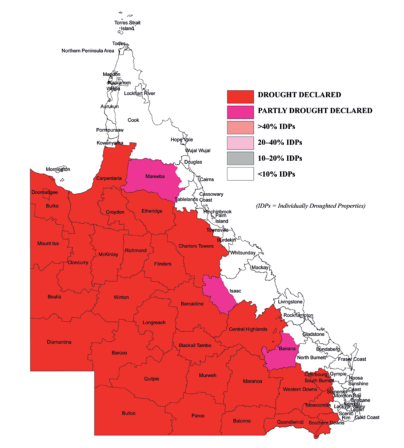 Across Queensland, limited sales activity in many rural markets, including grazing, broadacre farming, sugar cane and horticulture, resulted in continued static land values. The exception to this was increased land values in the grazing and broadacre farming markets of Central Queensland and the Darling Downs. Any increase in land values was influenced by the strengthening of beef commodity prices. The grazing and broadscale farming markets are starting to rise from the bottom of the market cycle. The Eastern Young Cattle Index reached a record high at $6oo.75c/kg in January 2016, compared with $439.25c/kg at the same time in 2015. These trends, where potential purchasers remained cautious, were likely to continue while waiting on improvements in weather patterns and more confidence in the economy. In the western pastoral zone, the market peaked around 2008 and then fell back to around 2005-06 value levels. This market continued to be subdued, with very few sales transactions. 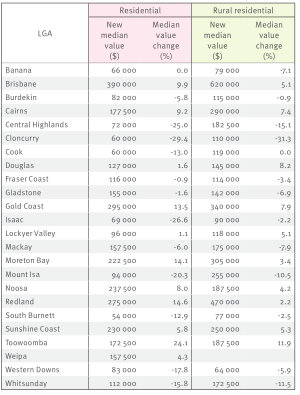 Sales across Central Highlands Regional Council and Banana Shire Council areas showed moderate increases. Minor increases occurred throughout the Toowoomba Regional Council area, up to significant increases at Yarraman. Parts of the Western Downs Regional Council area, at Dalby, Haystack and Wandoan, saw minor to moderate increases. Minor increases also occurred in certain markets within Lockyer Valley. Minor reductions within the West Woocoo and Tiaro South localities of Fraser Coast reflect that they were last valued in 2013. Sales of rural land purchased by resource companies for the purpose of mining or other extractive industry are not used to determine statutory land values of rural land. This market activity has now slowed due to the state of the resource sector, and respective markets are now being influenced by rural landowners. Source: the © State of Queensland, 2016. The Queensland Government supports and encourages the dissemination and exchange of its information. The copyright in this publication is licensed under a Creative Commons Attribution 3.0 Australia (CC BY) license.